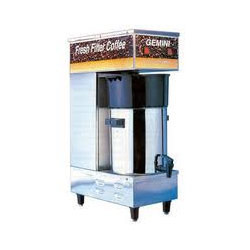 Our organization hold expertise in providing superior grade Gemini Filter Coffee Maker to our precious customers. These products are designed with utmost precision in compliance with set industry norms under the supervision of our quality controllers. 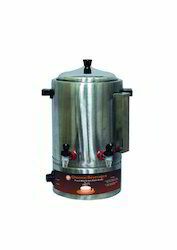 Our assortment of Coffee Makers are available at most competitive prices. 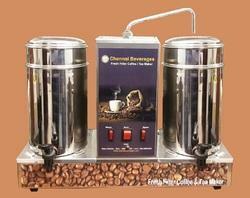 Chennai Beverages is Leading Manufacturer and Supplying of Electric Water and Milk Boiler from Chennai, Tamilnadu. Initial Startup Time 30 Minutes. 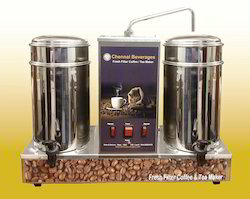 Removable Milk Vessel For Easy Wash.
Industrial Heavy Duty Copper Heater. Power 230V A/C, 2K Watts, 8Amps. 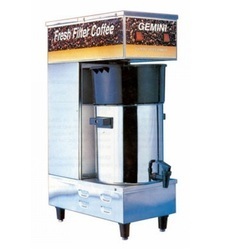 We have emerged as a prominent supplier, distributor, trader, retailer and wholesaler of Gemini Filter Coffee Maker. Being an client-based firm, our professionals strictly follow all the industry set quality parameters to trade this range. These products are designed and manufactured keeping in mind the variegated requirements of our clients using latest tools and machines by our vendors. Besides, to meet the variegated requirements of our clients we offer this range of the products available in varying capacities and specifications. 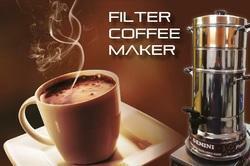 Manufacturer and Supplier of Filter Coffee and Tea Maker from Chennai, Tamilnadu. Can make Coffee and Tea at a time. 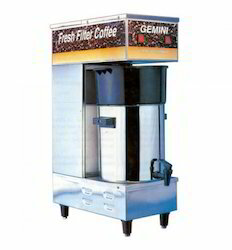 Looking for “Gemini Filter Coffee Maker”?